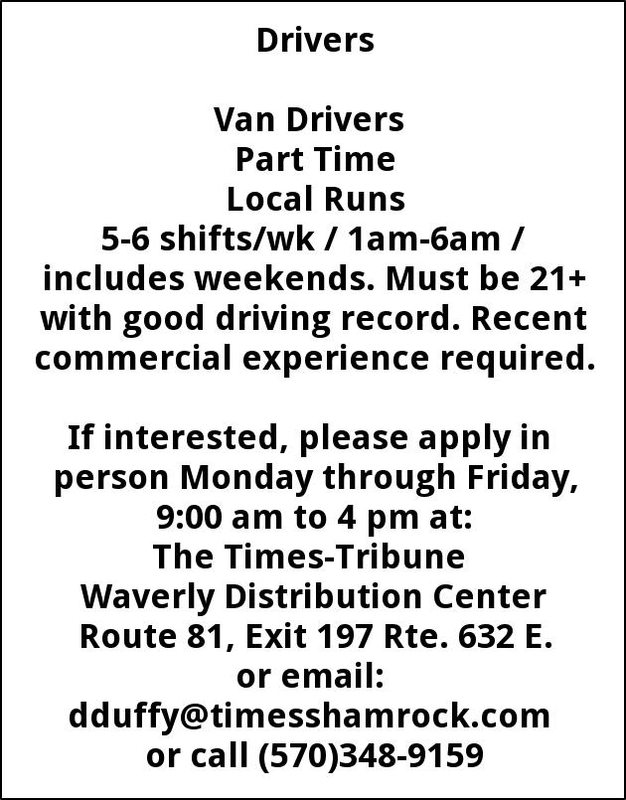 5-6 shifts/wk / 1am-6am / includes weekends. Must be 21+ with good driving record. Recent commercial experience required.